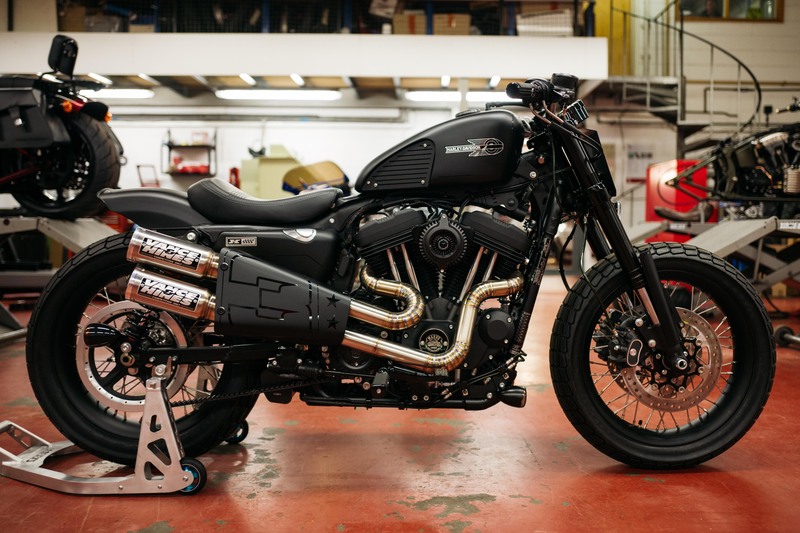 Every year, Harley-Davidson allows its European dealer network to let off some creative steam in the annual Battle of the Kings competition. 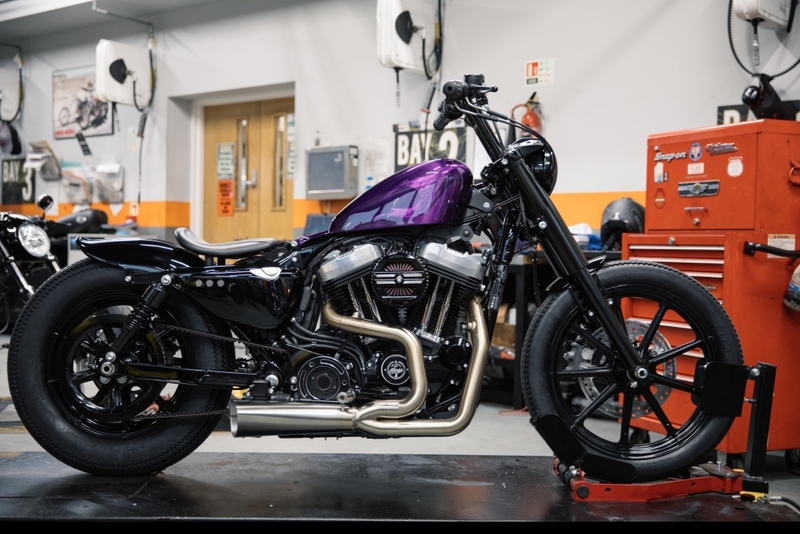 Now in its third iteration, the custom bike contest requires dealers to fashion a road legal machine that looks like nothing else in the H-D line-up. Adhering to a strict customisation budget and only able to choose from the Dark Custom Sportster range – specifically the Iron 883, Forty-Eight and Roadster – the dealers must come up with a bespoke creation that retails at no more than £12,995 for an Iron 883 and £14,995 for a Forty-Eight or Roadster. They are also encouraged to plunder Harley’s extensive part list to from their madcap machines, highlighting just how far you can take a basic hog with a bit of imagination. 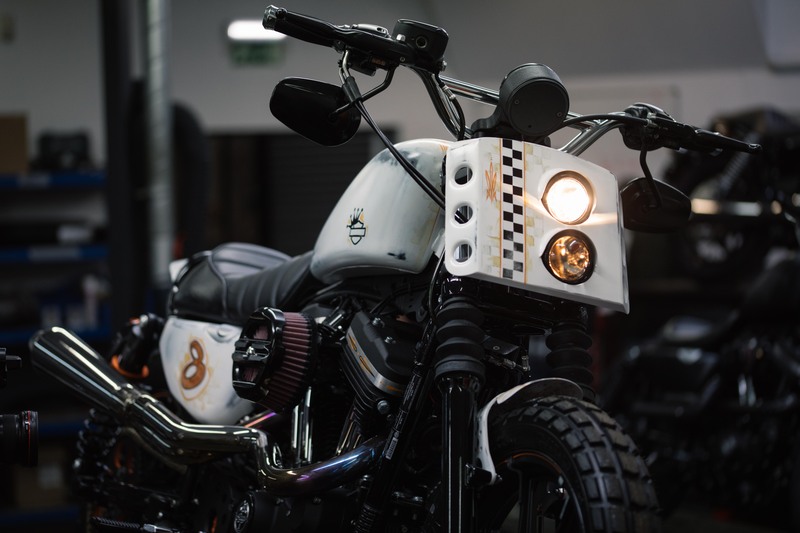 A staggering 31 UK-based H-D vendors took part this year and the entries range from simple yet stylish Bobbers to outlandish and vaguely post-apocalyptic off-roaders. The winner is typically announced at a European bike event, with previous ceremonies taking place at the achingly cool Wheels & Waves festival in France. However, the overall Battle of the Kings 2017 Champion will be decided by a panel of expert judges at Milan’s EICMA exhibition in November 2017. Head to www.h-d.com/battleofthekings to vote for your favourite. You have until Tuesday 14th February to decide. But to get you going, here are some of our top picks, profiled for your reading pleasure. The brainchild of Neil Sefton, Shaw Speed & Custom’s Head Custom Technician, and service manager Simon Pocock, the Beach Bobber features cool youth culture nods, such as the Santa Cruz skateboard bash plate. Hooligan by name, hooligan by nature. 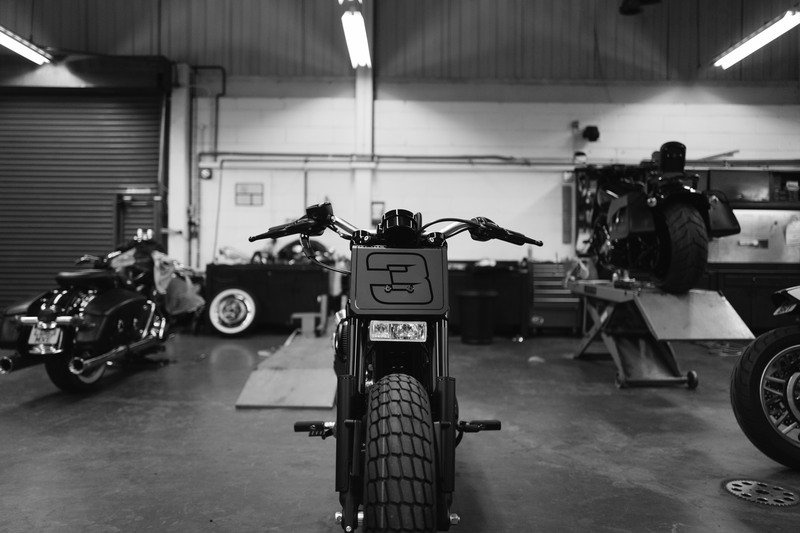 This brute is the result of Warr’s technician Charlie Stockwell flexing his creative muscle. He claims it is a, “flat track but fully fettled for road use”. 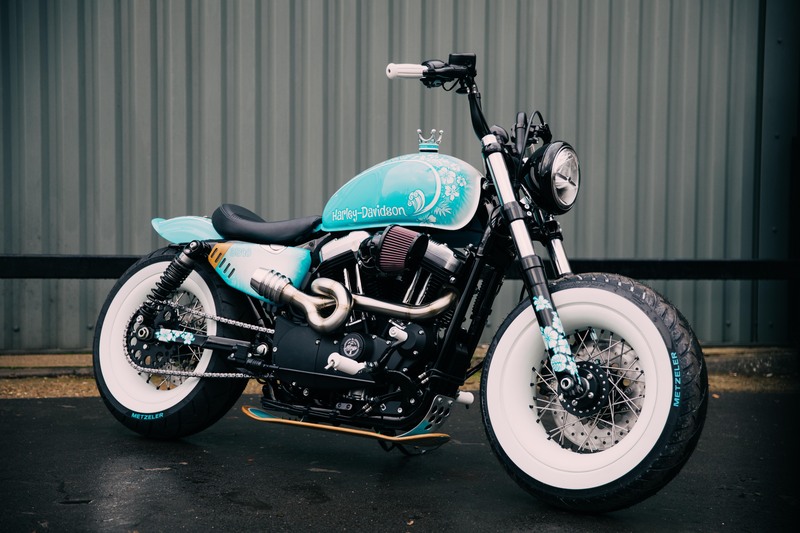 Two things stand out about the Cookie Cutter: the amazing paint job on the fuel tank (borrowed from a Sportster Forty-Eight) and the bike’s narrow, svelte shape. 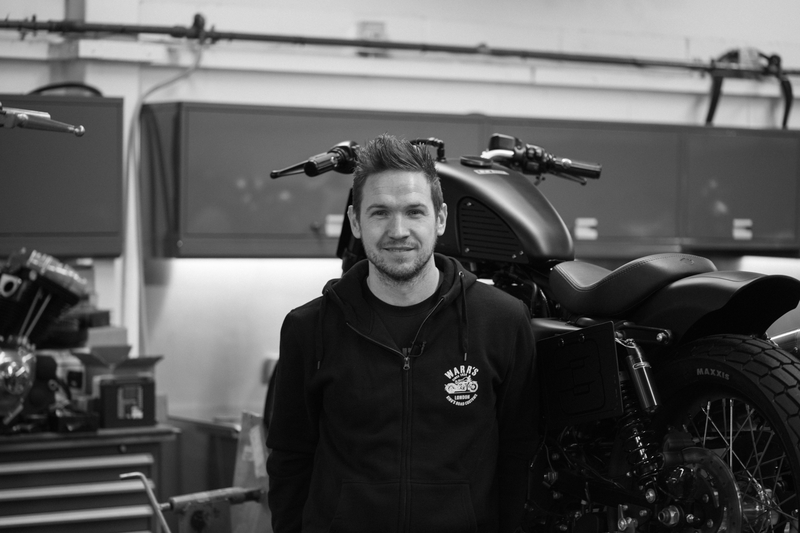 The paintwork is by Surrey Customs and they achieved it by repeatedly scarring the tank with an angle grinder and then topping it with deep paint and lacquer. Based on an Iron 883, Ya Filthy Animal reminds us of a zombie-slaying machine from a 1970s horror movie. There are plenty of genuine H-D parts involved here but Sycamore Technician Trevor Bell enlisted the help of king fabricator Tony Jarvis to create the more bespoke touches.